For years the only Sonic was almost 2 hours away from my house but they constantly aired commercials for their delicious treats on our local channels. I think it was an evil marketing ploy to convince me to spend 4 hours in the car just to enjoy a limeade. Unfortunately for them, I never gave in. I just made sure to stop on all of my trips to the beach. Right before I got married (almost two years ago now) they announced that they were building a Sonic in the next town over. This is when we lived in the middle of no where, so a Sonic was pretty big news. They opened one week before the wedding and I was there a few days later to enjoy a much deserved limeade. Then, ironically, we rarely went there. I guess just because we knew there was one in close proximity it just wasn’t as appealing. Now, after spending years and years with the closest sonic two hours away, I now have three of them within 45 minutes of each other. Now what does Sonic have to do with Strawberry Lime Popsicles? Not much actually, other than when I tried these out before freezing them to make sure it was sweet enough, I couldn’t get over how similar this tasted to a strawberry limeade. Like identical. I actually combined the leftover mixture with some carbonated water and a splash of Mountain Dew. It wasn’t perfect, but it wasn’t bad either. 1. Combine all of the ingredients in a blender and blend until smooth. Add more water if the mixture is too thick. These really are delicious and probably even better for you than the fruit bars you can get in the grocery stores. 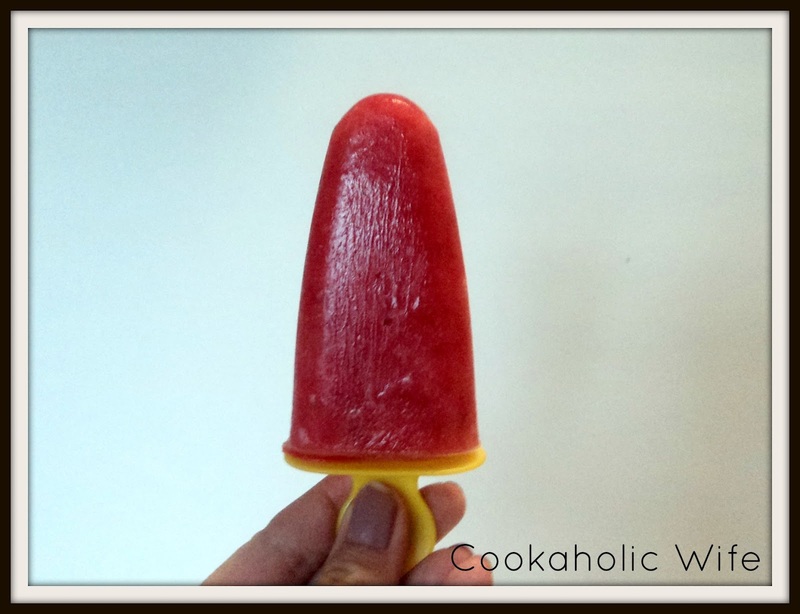 I plan on picking up a big carton of strawberries at the grocery store this week and freezing them so I can make these tasty popsicles throughout the winter. Yum! These sounds amazing… can't wait to see your photos!